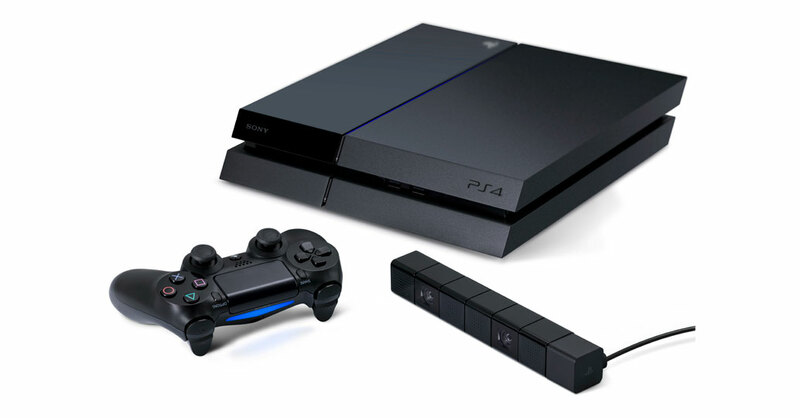 PS4 (Play Station 4) is the latest console of Sony Play Station, which is a gaming brand consisting of four home video game consoles, as well as a media center, an online service, a line of controllers, two handholds and a phone, as well as multiple magazines. Altogether, there are currently four generations of PS products: The first generation was the first video game console to ship 100 million units; the second generation, i.e. PlayStation 2 is the best-selling home console by far; the third generation – PS 3 was released in 2006 and the newest generation of PS4 was released in 2013. Video formats: H.264/MPEG-4 AVC video, High Profile Level 4.2 with AAC-LC, AC-3 audio in .mkv, .mp4, .ts and .avi formats; H.264/MPEG-4 AVC video, High Profile Level 4.2 with MP3 in .mkv and .avi formats; H.264/MPEG-4 AVC video, High Profile Level 4.2 with MP2 audio in .ts file format; AVCHD video in .m2ts and .mts formats; MPEG4 ASP with MP3, AAC-LC, AC-3 audio in .avi format; MPEG2 Visual with MP2, AAC LC, AC-3 audio in .ts format. Quick Fix: Is It Possible to Play DVD on PS4? For a fancier of both PlayStation and DVDs, you may ask “Does the PS4 play DVDs?” or “Can PS4 play DVD movies?”, right? Here, I’m sorry to tell you that playing a CD is unsupported currently though PS4 system software supports Blu-ray and DVD playback since it is equipped with Blu-Ray drives. But does that mean it is impossible to play DVD on PS4? Absolutely NOT! Indeed, you can still watch DVDs on PS4, on condition that you get a handy tool to help you like this Leawo DVD Ripper. With this tool, you can easily convert DVD to any format that is supported by PS4, so as to watch DVD on PS4. 1. 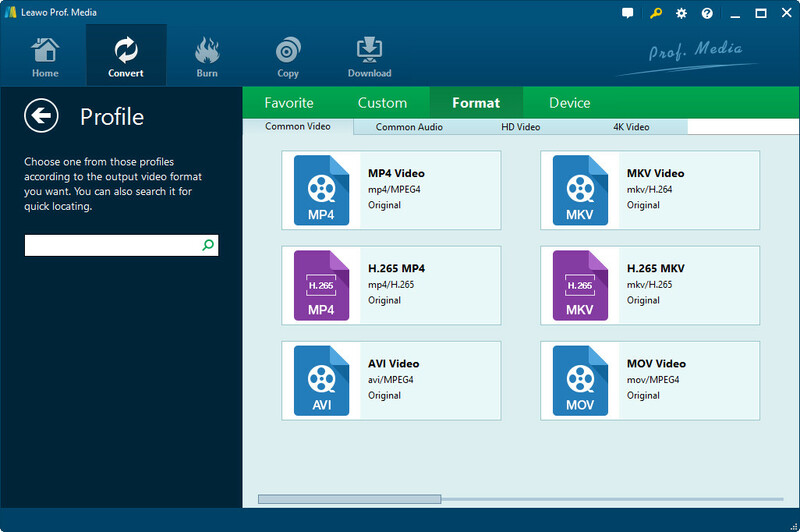 It enables to rip DVD to more than 180 kinds of video formats such as MP4, WMV, MKV, FLV, and F4V and many more. 2. This popular and powerful DVD ripping software is also able to convert DVD to audio in MP3, AAC and etc. 3. Aside from being a top-notch DVD to video converter and DVD to audio converter, it enables users to watch DVD movies directly on your mobile device, be it iPhone 6 Plus, Galaxy S5m Lumia 1520 and other devices. 4. With it, you can also easily customize video effects by trimming, cropping, adding effects and watermarks, or rotating as desired. 5. You can effortlessly convert 2D to 3D in 6 different 3D effects. Also, you are free to set profile parameter, select subtitle/audio track, or merge files into one as liked and wanted. To name just a few. Actually, if you want to get all detailed information of this software, a trial of this software is highly recommended. 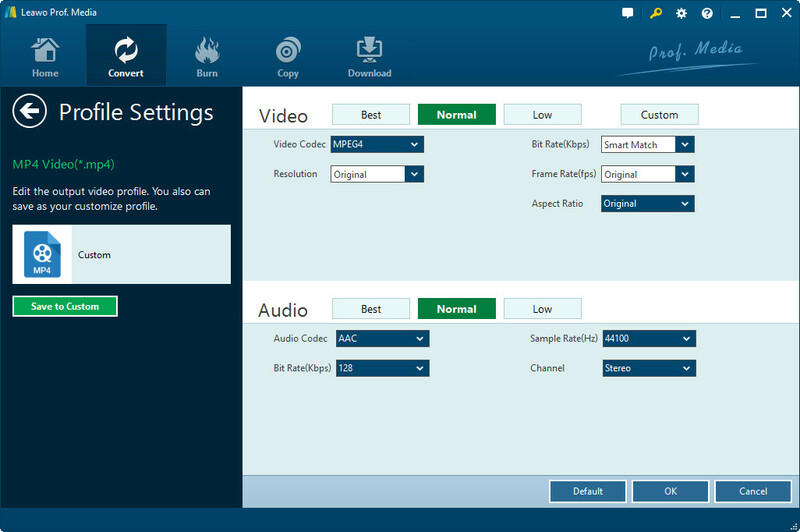 And it is quite easy to use this software to play DVD on PS4 in a jiffy, just follow the steps. Step 1: After downloading the right version of this software, open it on the computer. Step 2: Now, the home page will be displayed on the main interface as pictured in the below. Click “Convert” button on the sub-menu or “Blu-ray Ripper” option in the middle to continue the process. Step 3: Hit the “Add Blu-ray/DVD” option to import DVD file that you want to rip to PS4 supported file format. Also, you can directly drag and drop the wanted files to the converting panel. Note: In the next interface, three different options will be displayed: Full Movie, Main Movie and Custom Mode. Full Movie allows to import all titles, Main Movie only imports the longest title by default and Custom Mode means you can freely choose titles for importing as desired. Once you choose the wanted mode, hit the OK option to continue the process. Step 4: After successfully importing the source DVD file, you can have a preview, select subtitles and audio tracks or edit its detailed information to your own taste. Step 5: Tap on the drop-down box next to the option of “Add Blu-ray/DVD”and hit the change option to select the wanted output format under the Device tab. Step 6: Now you will see the below interface, adjust the detailed information of the output format as needed and wanted. Step 7: Click on the big green “Convert” icon, then specify a location to save the output file and hit the “Convert” option to begin. Now, just wait patiently for the process to get completed within a little while. After that, you are free to play the converted DVD on PS4 as you wished. Absolutely, aside from Leawo DVD Ripper as introduced in the above, you will see a list of DVD rippers when you search on the internet, such as WinX DVD Ripper Platinum, Magic DVD Ripper, Xilisoft DVD Ripper and so on. And you really need to weigh its advantages and disadvantages to choose the perfect tool. Taking WinX DVD Ripper Platinum as example, this software’s library of customized output profiles dwarfs most of the competition. However, it lacks the ability to add watermarks to rips and adjust a picture’s brightness and contrast, which immediately overshadows its strengths. Moreover, its price almost doubles that of this Leawo DVD Ripper. All in all, on the basis of comprehensive consideration about all the other programs, Leawo DVD Ripper is surely the most appropriate and professional one worth your trying, which enables users to effortlessly rip DVD to any format as wanted while minimizing the expenses. Now, why not download the trial version and let the facts prove it?